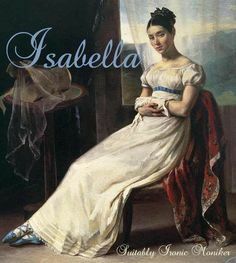 It’s me this week and I just finished reading the latest completed story from Suitablyironicmoniker called Isabella. It’s me this week, and I wanted to talk about two completed stories I’ve read recently that I loved! Just because Rob is just too cute for words, and he makes me smile. Hi everyone!! I so love when Michelle is able to share what she’s been reading lately. You just know it’s going to be good! Hi kids!! It’s Meg’s post this week, and she is reviewing some really great “classic” fics that maybe you haven’t taken the time to read. I know there are some fics on my TBR list that I am still hoping to make time for. Since it’s Good Friday for those who celebrate Easter, I wanted to share two fics that I recently read and love. Think of it as my “good deed” for this Friday!